As soon as I hit Maras pavement, I emailed Puma of Chinchero. He was the Shaman that my professor, Carol Parker had recommended. His email response was immediate. He had time for me on Thursday November 21, just four days back from my pilgrimage to Pomacanchi. The owl visitations from the citing of the Owl of the Apu (mountain spirit) of Wicucu, finding a owl wing while jogging in Maras two days later, and countless other owl sitings were very much on my mind as the bus that groaned into downtown Chinchero. Perhaps Puma could decipher the riddle of the owl I mused. Chincherowas slated to become the next big Gringa airport terminal for Peru. I gazed out across the gorgeous green acreage set out from the town that was the intended site. I groaned internally at the thought. I called Puma and he apologized for not being able to meet me for ½ hour. I sat in a restaurant with a high school athletic team clearly on the road. I wondered at the food they were eating. Not by any means American Breakfast fare. I ordered coffee and after tasting it dallied with it like an errant toddler. He arrived with a smile bigger than a Montana Sky. His stature was some two inches below mine. He led me to a luxurious tourist coach and drove me to his sanctuary. We walked up a steep exterior staircase and walked into his temple. Laid out on the floor was an enormous spread of totems, and bowls set on a Peruvian Textile. My eyes wandered onto the wall above the elaborate spread. I saw the face of two older men, one clearly a Peruvian elder sporting a woven pointed cap, the other a westerner with a Bola. Puma’s voice called me to attention. Puma asked me what had lead me to the Andean path. I began to retell the story of my first Peruvian Ceremony, which I had regarded as a curiosity, an opportunity to hike the Big Tesuque trail with my favored professor and Shaman if truth were told, Carol Parker. On came the tale of the heart rock with the line through it, the quails that ran, and the finding that same today my mentor and Jungian analyst dead of a heart attack opposite the Quail Run subdivision. I continued to tell him how a month later I had been in Hawaii and had stayed at the Volcano Island Retreat and visited the volcano at the behest of a former student of Harry Makua, the last great Kahuna and shaman of Hawaii. Puma stared at me deeply and paused. Harry Makua was also his teacher he explained. He had first met him in 1998 at a council of indigenous healers. For years they had corresponded and met. How he had made arrangements for Makua to visit Machu Pichu, had gotten over $15,000 allocated just for Harry to accommodate his bad knees and diabetes in the face of high altitudes and major climbs. Harry had died just before the intended trip. The green stone he had given Puma riding round his neck had shattered that same day. I shared the book that outlined Makua’s life, how the volcano retreat center had a portrait of him and a lea spread across its frame. How I had spied the book commemorating his life just published (the bowl of light) in the owner’s bookshelf. How they had told me that Harry was a good friend and had brought people to study at their magical place. Puma opened a bag of cocoa and spread out the leaves. He began to tell me about how at the age of six he had been struck by lightning while shepherding. An enormous ball of light taller than the eucalyptus trees he stood near. He awoke in the stream with the animals, having been struck by the lightning. This ushered in his life as a shaman. His grandfather looked at this as a sign that Puma had the mark of a shaman and so his education with his grandfather began. He smiled knowingly and regaled a story of having an enormous Owl flying down right in front of his car. He had felt a shiver course through his entire body, a type of change in frequency. Puma said that birds exist in a lighter frequency than we. That they were masters of travel. He said many had said that the furthest distance was between the heart and the mind…. But that his teacher had told him “ and that’s if you think they are two places.” I surmised from that statement that the heart was indeed the mind. Puma instructed me to work on equanimity and to stay in deep gratitude. He moved on to the importance of the Mesa. He explained that the Andean medicine bundle had gotten the name “mesa” after the Spanish colonization.The Spanish had done all serious and meaningful work around the table or “mesa”. The spiritual work was of course “important” and so the name stuck. Puma pointed out that the rule of the universe is not ownership. Nothing is YOURS but everything is FOR YOU. “Your Mesa is an opportunity for prayer and ceremony. We will program your mesa so that nothing reaches your altar/your mesa unless it has a similar or a higher frequency….and you must be ready,” he warned. “It is not Your Mesa, it is For you.” He reminded. He said the world changed years ago as a result of the manipulation of ancient people. They manipulated the life force in the days of Atlantis. The creator then set a parameter that consciousness would diminish over a period of time that has now ended. The Incans were a step down with a loss of consciousness and connection. 2012 heralded in a new era —for 30,000 years we would awake from a deep slumber. “Just like when Dorothy woke up from lying in the field of Poppies in the Wizard of Oz,” I blurted out citing my favorite movie. Puma looked puzzled and so I recounted the tale of the wizard of oz. He said it sounded familiar and that he would look it up. “Kind of like a chat room on the internet?” I queried. “Yes” Puma smiled. Puma ended our session offering to take me to an area B&B as I was tired.He suggested I rest and in the morning go visit the Inkan ruins if I wished, cautioning me that it was 70 soles with no tour. We made arrangements to reconnect two weeks later and he hugged me whole-heartedly. The B&B, La Casa de Barro, was beautiful and Chinchero’s only B&B to date. The property was inviting with an adobe wallencasing a grassy courtyard with views of the hills of Chincherro. I was lead up an exterior rustic wooden staircase to my room on the second floor. I placed my backpack on the table and took note of the room: two windows, a sizable shower and bath, a desk. 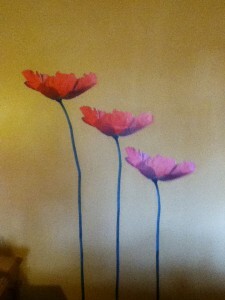 The only wall decoration was a hand-painted mural of three enormous Poppies of shades of pink and orange. My mind traveled to my recalling to Puma about Dorothy in the Poppy Fields of Oz and laughed to myself. It was cold in this high mountain town. I laid down under a heavy alpaca blanket in an attempt to rest as Puma had advised. Sleep did not overtake me. 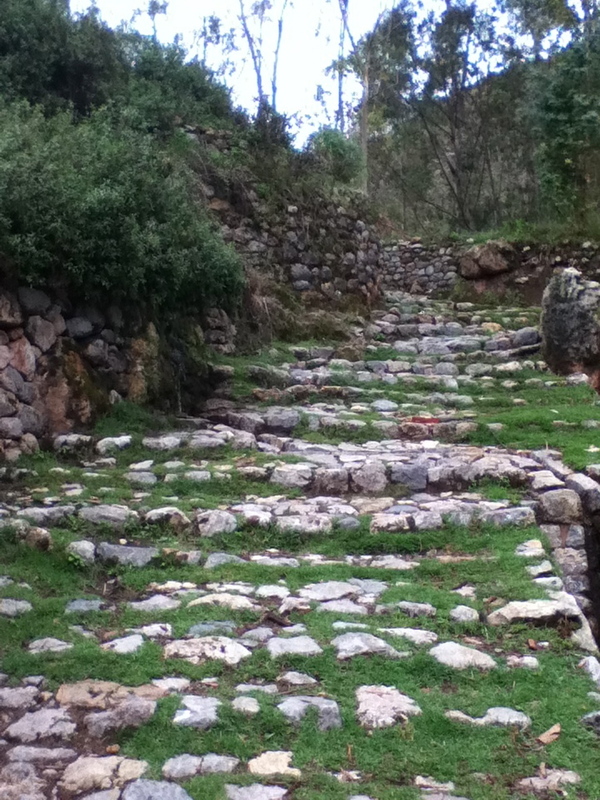 Rather a desire to walk out and explore Chinchero pushed me into motion. I walked down the main street of Chinchero. I let my heart do the leading. I turned right at an awful modern day statue of a peasant woman and her donkey. Another quick right and I was met with a choice: make a left toward the ruins. A sign for the Center for Weavers of Chinchero propelled in its direction. I took two steps toward the textile center and a large van pulled up and stopped. It was Puma, leaning over the half raised window smiling. “Candida! If you go back the way you were walking and take a left you can reach the ruins and avoid the 70 soles”. I was a bit embarrassed having been caught not resting and allowing the ceremony to marinade my soul. “Of course I would run into you,” I smiled. He drove off and I opted to visit the weaving center to purchase something for my mother whose taste required above retail environments! I purchased a few scarves of fine quality and headed out the way that Puma had instructed. I found myself walking alongside the site of Chinchero’s market in an Inkan alleyway. The alleyway ended with a modern day sign outlining the Inkan Trail. I walked alongside rising Inkan terraced walls and fields of green. Donkeys, sheep, pigs, and bulls were scattered along this vast corridor. The mountains in the distance were beautiful in the extreme. The setting was truly breathtaking. I continued to walk until the hillside opened up to show a “restored” Inkan staircase indicative of an Inkan temple. I saw tourists meandering above. The newness of the stones and the encroachment of the tourist energy sent me backwards seeking a quiet sunny spot to sit. I walked up the hill in reverse, searching, searching for the perfect spot. The cries of school children grew. I climbed higher and found myself in the center of an enormous field of grass, presumably the central place of this temple. Where I suspected an Inkan Temple now stood an enormous Catholic Church with white masonry walls standing some three stories high. The Inkan foundation of tell tale rocks remained. I felt sickened. Had the Spanish left nothing? I meandered to the head of the square and entered a small museum with Inkan artifacts. Finished, I exited and walked down the cobbled road by innumerable number of storefronts. The call to the gringa with promises of sweaters, t-shirts and other items cascaded all around me. I made it back to the hotel for the night, reading until seven when dinner was served. 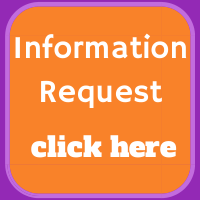 On the television was the latest version of Alice in Wonderland. Johnny Depp cast as the mad hatter had crazy eyes. I felt an affinity for Alice.I felt much like her in this unusual land with shamans and Apus and apparitions of owls. 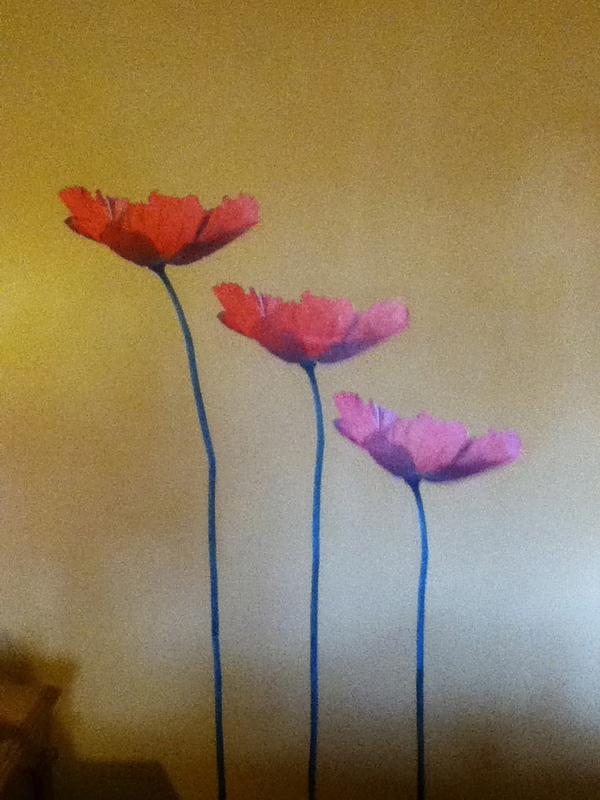 The table next to mine had what I thought to be a couple…. of men. They turned out to be, of all things, Mormon Missionaries. The 6’5” American from Idaho and I began a lengthy conversation about Peruvian society and my incessant questions about the Mormon belief system. Was it true that according to their religion a woman must be married to gain access to heaven? No was the answer, this was essentially true for both men and women. I thought this unfortunate as I felt not all people should be called to procreate or be married for a myriad of reasons one of which being world overpopulation. I asked the man if he was familiar with the Andean Cosmology. He wasn’t. I felt perhaps he should. And so he listened to my tales of magic and power and beauty and how I had fallen onto the path of the heart with a flock of quails and heart rocks as my main mementos. I left dinner for bed and arose early. By 7 am I was eating a yogurt breakfast and slugging down coffee. The Spanish-speaking owner of the B&B was attentive to my broken Spanish. 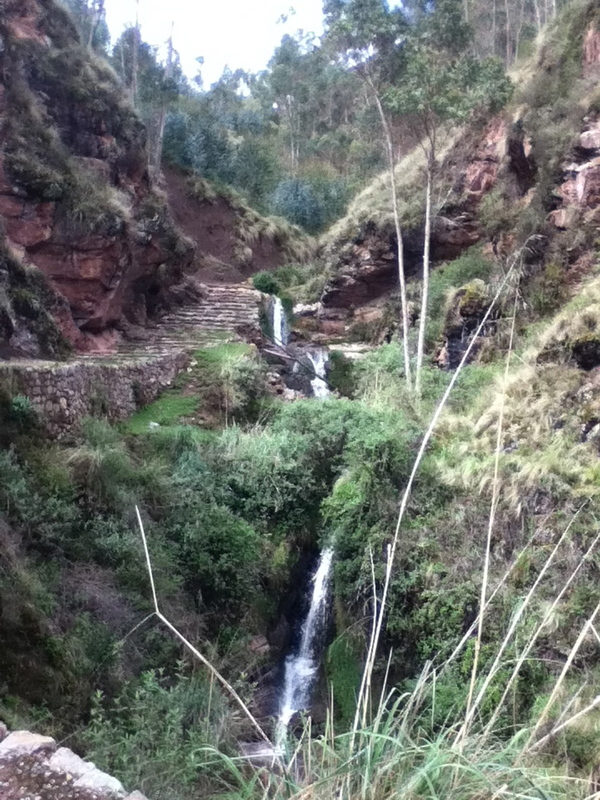 I told him about the beautiful section of the Inca Trail I had seen the day prior. I told him I was headed to Urubamba. This was an answer to a dream I had had since June. I had wanted to walk the Inka trail but did not wish to do so, as so many tourists now do, along the overcrowded portion to Machu Pichu. I wanted alone time. Time with Pacha Mama and the Apus. “I will do it!! !” I smiled. He warned me to watch my feet as the rocks are slippery and promised me to call him when I emerged from the trail. I walked off with all of the optimism Dorothy reflected at the beginning of the yellow brick road. 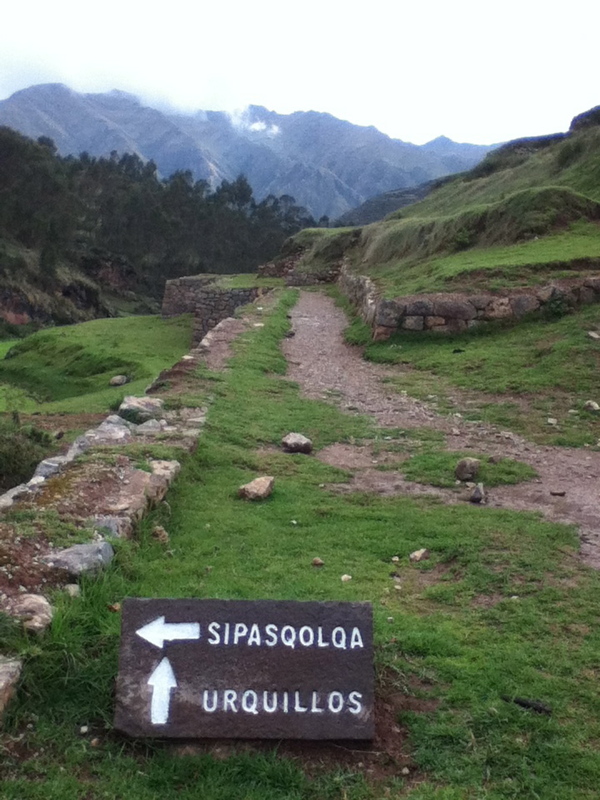 I literally hummed “we’re off to see the wizard” as I set off on my Inka Stone Road. The beauty, the mountains, the sunshine, the pristine calm of an early morning walk claimed me. It was all downhill he had promised. The corridor I had witnessed the day before was traded in for a staircase fashioned by Inkan hands. Waterfalls and a river were my constant companions. The beauty was awesome, at one point literally bringing me to tears of gratitude. Within an hour I realized I had not seen one person. Gone were the tell-tale marks of the shepherds herds. No small manure. The road collapsed from mudslides in several places. The going was so difficult, the drop off so nearby, the mud in places so thick, and I forced myself to focus each footfall in favor of falling. Gone was the levity of Dorothy at the beginning of her journey. I was now in the dark forest of foreboding. It was all part of the journey. I grasped stronger shrubbery, and forced myself to breath. An hour later, I had reached the canyon floor. I came upon a family of shepherds washing clothes in the river. It was getting warmer as I had tread down the path, but I was still in the mountains. The poncho and hand made sweater called to me. Hadn’t Puma told me that the Andean Path was about letting go??? I handed a young woman my sweater and poncho. 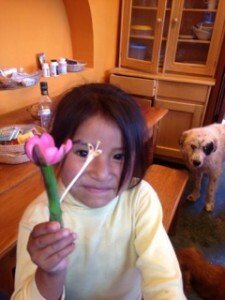 Her beautiful Andean smile was my reward. I continued past maize fields and finally into a eucalyptus grove. A dark haired almost burly Peruvian with a backpack emerged with a smile. His name was Luis. He hailed from Piura as did my friend Miguel. 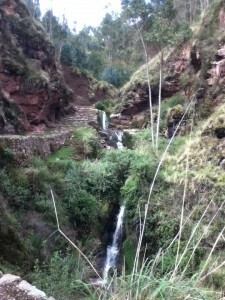 He had walked to Machu Pichu and innumerable other portions of the Inka Trail. He was curious how far to Chincherro. Two hours was my reply along with warnings of the very dangerous portions the rainy season had created. He turned around and acted as my guide back to the highway that would lead us to Urubamba. We walked, he fifty, me two years older fast and enthused by the beauty of this ancient way. With every crossroad he pointed the way. We reached the small town of Urquillos. Gone was the rural sanctuary. I had indeed reached the Emerald City. Back in Urubamba I bade my fellow traveler goodbye. I gathered my laundry and some yogurt from the shops on the main avenue. I called Miguel and we had a coffee at his so-called office “Sofia’s Café”. I told him of my adventure with his fellow Piurian! We made plans to connect the following week. I made it back to the compound in Maras. Little four-year-old Joshuri was excited to see me. She followed me into my kitchen. We consumed yogurt both reveling in its sweetness. It was the first time that the San Isidro had had their “natural yogurt” available since I had arrived in the sacred valley. The flavor called to mind my grandfather’s homemade yogurt that I so enjoyed with him over the years. Joshuri reached for the stash of playing cards. She urged me to shuffle the cards in the way she found special undulating upward and outward. Her delight reminded me of the small me who was similarly mesmerized by my grandfather’s skillful hands. We finished our hands of cards and yogurt and I climbed up to my living compartment. I stood in front of the calendar I had tacked to the wall of my living room above my desk. It was November 23rd, my Grandfather’s birthday. He who I had loved and eaten his home made yogurt with and played countless games of cards. He had walked 12 miles a day up until his death at the age of 83. I had spent his birthday well commemorating those things he loved in life and which he had passed on to me, in love.